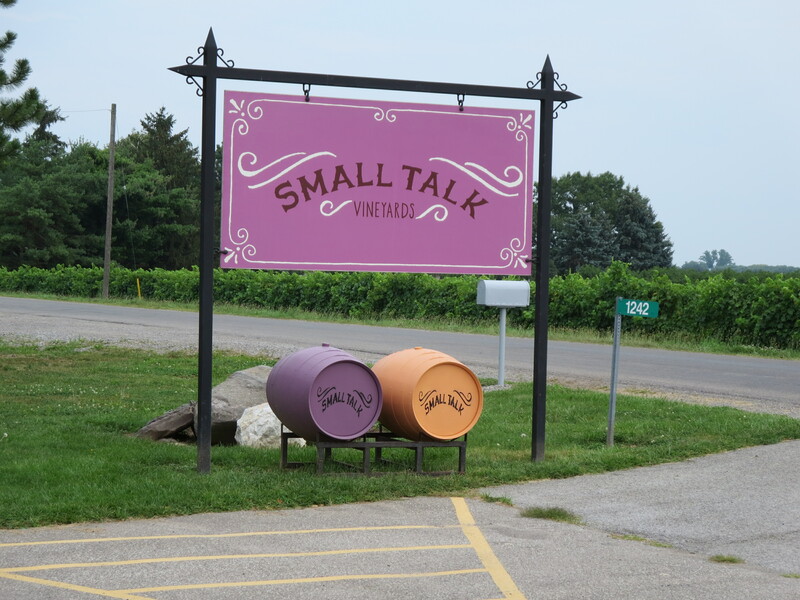 On a recent visit to Niagara-on-the-Lake I set out to find Small Talk Vineyards . As I headed along Lakeshore Road I saw the sign for Irvine Road and I thought, “Oh, Small Talk must be near Stone Church, which should be right around here”. When I saw the sign for the Stone Church Warehouse Outlet, I figured I was right. 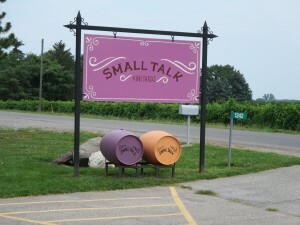 But I became quite confused when I saw the Small Talk Vineyard sign on what I thought was Stone Church’s property. I pulled in and headed into the winery’s boutique. 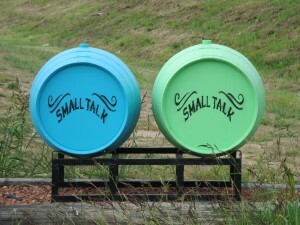 As soon as I saw the bright green painted wine barrel I realized something was different. 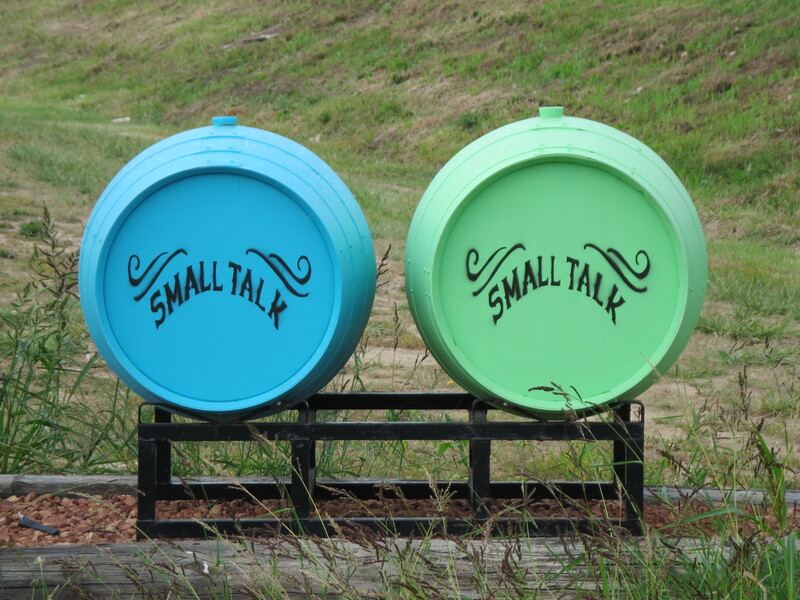 I had seen a bunch of brightly coloured wine barrels along the edge of the vineyard property – they’re quite whimsical and hard to miss – and here was one in the boutique. The confusion was put to rest when I spoke with staff who explained that Stone Church has re-branded and it is now Small Talk Vineyard. 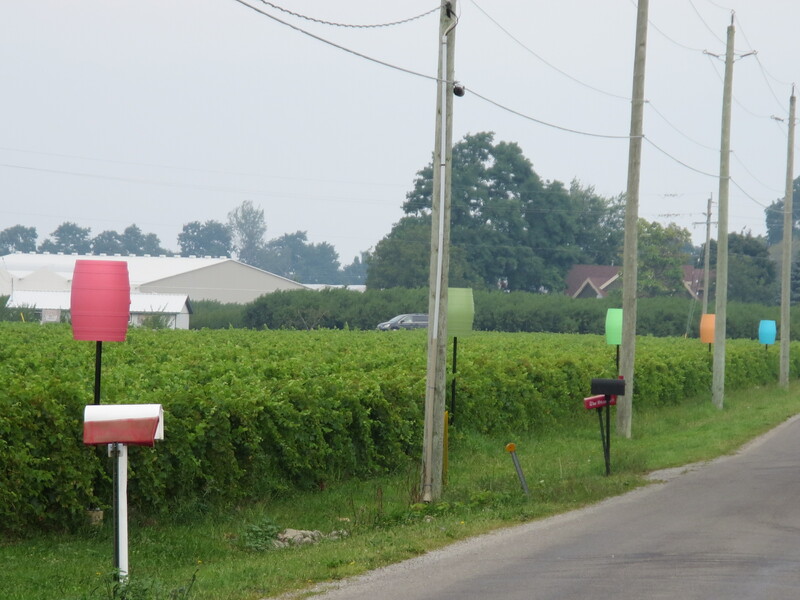 The Hunse family still owns the winery, but they’re shifting their focus to producing VQA and so they decided to re-brand. The transition is on-going but they’re welcoming guests, so be sure you stop in and see the redesign – and try some of their VQA wines.